Alas, that smile has been extinguished, as Banks passed away on Friday at the age of 83. Over at Sports Illustrated, we’ve got the full salute, with Tom Verducci on why Banks will be missed, Cliff Corcoran on the outline of his stellar career, Rich Cohen from the past summer’s “Where Are They Now?” issue whose cover he graced. 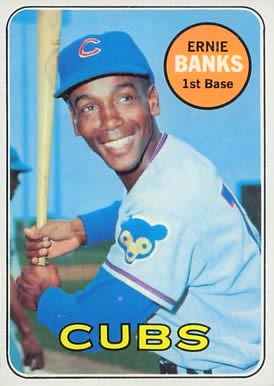 My own entry focuses on Banks’ home run prowess, the likes of which had barely been seen from a shortstop prior to his mid-Fifties breakout, and his standing with regards to advanced metrics, including JAWS. For all the number-crunching, though, nothing can quantify the power of that smile, which lit the baseball world for so long.